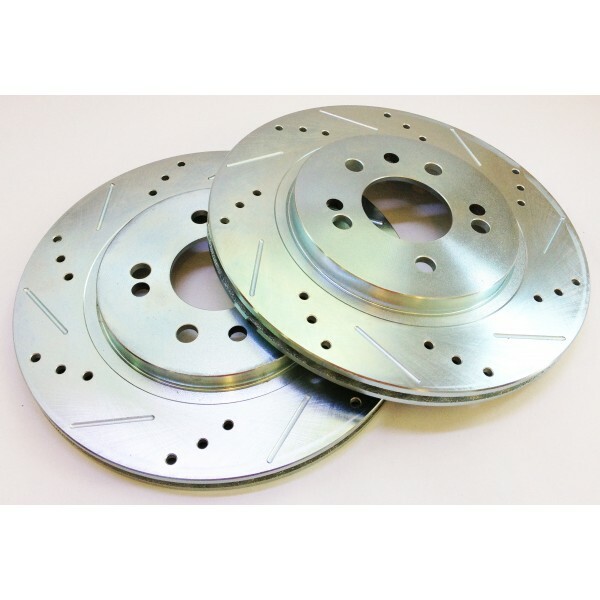 these are the rotors used in our Rear Stage 4 Kit. they come Drilled, Slotted, Vented, machine balanced, and Zink plated rotors are professionally built with precision C.N.C. machines. They are Zink plated which prevents them from rusting. 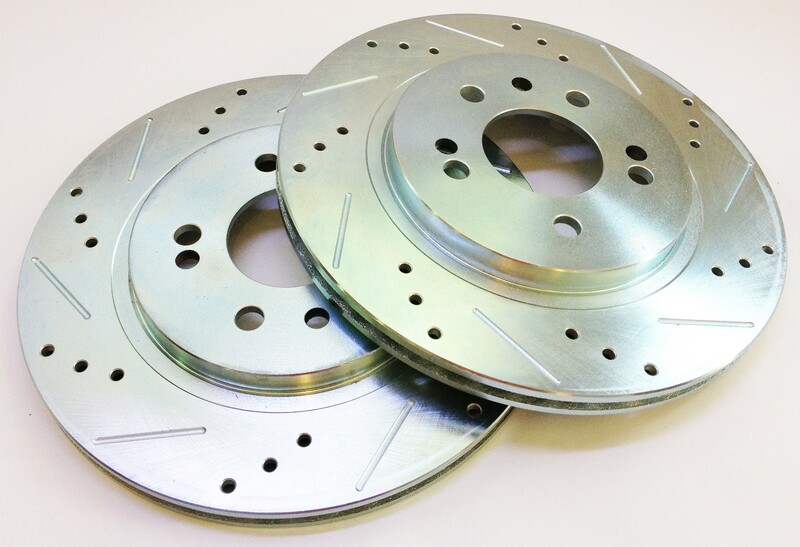 The rotors are also vented which will greatly lower the chances of brake fade under extreme driving conditions.